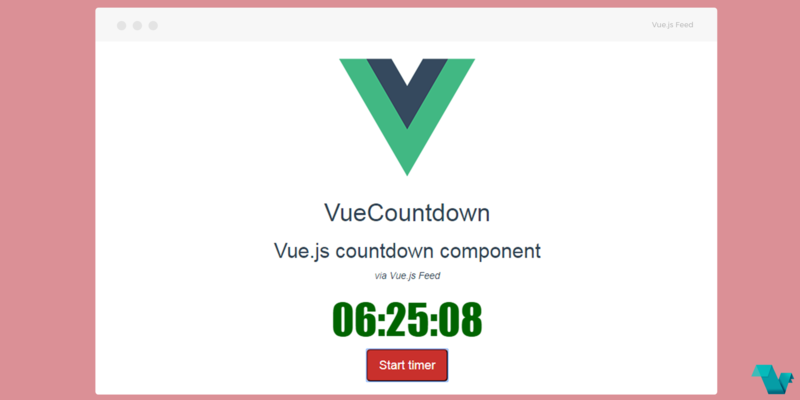 Component for Vue.js which creates a countdown timer based on a provided number of seconds or a date in the future. To start working the Countdown component use the following command to install it. <vue-countdown @time-expire="handleTimeExpire" :seconds="4" :date="date" :message="message" :start="start"
date: A date in the future used as a string. Any string that can be parsed by Date.parse() is considered valid. Takes precedence over seconds parameter. seconds - number of seconds to start counter from. message - message to display when counter reach to zero. start - boolean value whether to start timer or not. and the time-expire event, triggered when the timer finishes. These options need to be in data and events in methods objects. That's it! If you are interested in more or you have any bugs and suggestions, click here.